The webinar series starts June 4, is free for alumni, and will help you jump start your new career! Steer Your New Career In A Strong Direction. If you’re a young professional or recent graduate looking for more a more satisfying career attend this webinar to get better focused. Learn strategies to understand and map your possible career paths. Align external messages about the world of work with your interests, skills, educational background and quest for fulfilling professional experiences. In competitive markets or in a slow economy how the candidate is presented in their resume can make a difference between being offered an interview or not. This workshop will discuss resume strategies that get results by focusing on the type of information that quickly grabs the employer’s attention. Participants will learn how to develop a targeted career summary and how to write bullets that best showcase their accomplishments. 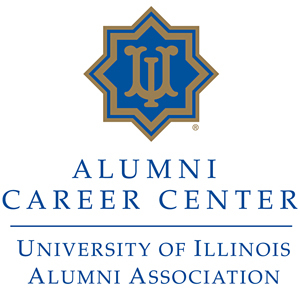 The University of Illinois Alumni Association’s collection of alumni career resources provide a solid foundation for career management planning at all professional points, whether you’re starting to explore new career options, looking for guidance on updating your resume, a refresher on networking, tips on starting strong in your new job, or ideas on managing your path. This session will provide short tutorials on the Hire UI Alumni job board, the Virtual Career Center, professional development workshops and the UIAA Alumni Directory.